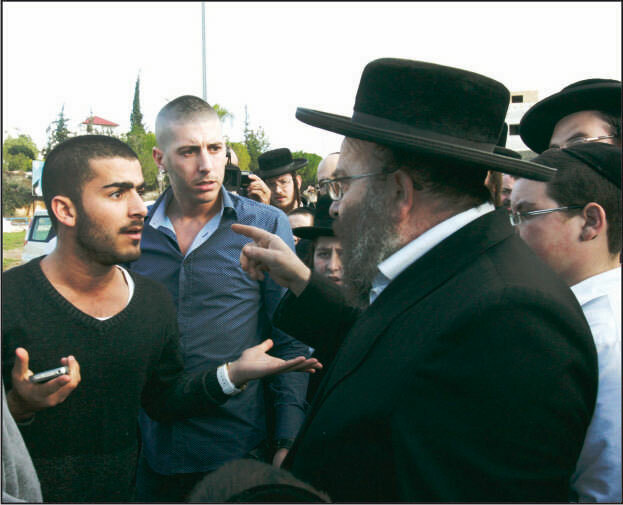 Confrontation in Beit Shemesh: Orthodox vs. secular. In light of the recent spate of violent incidents and tensions in Beit Shemesh, the Jewish communities of Greater Washington and South Africa will support Jewish Agency programs aimed at encouraging dialogue and cooperation between the Haredi (ultra-Orthodox) residents and the broader Beit Shemesh community. The Jewish communities of Greater Washington (through the Jewish Federation of Greater Washington) and South Africa are sister communities with Beit Shemesh and central Israel�s Mateh Yehuda region via the Jewish Agency�s partnership program, Partnership2Gether. Each year, 300,000 residents of 600 Jewish communities throughout the world and 90 regions throughout Israel engage in vast range of exchange programs, forming a living, localized link between the Jewish world and Israel and promoting projects dedicated to strengthening Israeli society. The Jewish Agency has been engaged in projects in Beit Shemesh aimed at promoting unity and empowering the different communities in the city in recent years. Last week, the partnership hosted a conference of Haredi women entrepreneurs to help them promote their businesses with the Kiryat Gat Entrepreneurship Development Center. Through the Jewish Agency�s school twinning program kids in Beit Shemesh and the Mateh Yehuda region connect to their peers in the Greater Washington and South Africa Jewish communities. The Haredi Employment Program offers training and job placement services to ultra-Orthodox individuals in Beit Shemesh interested in joining the workforce. The Jewish Agency is currently engaged in a range of activities aimed at narrowing the gaps between the different segments of Israeli society and is promoting innovative programs aimed at empowering Haredi communities in various cities across the country. At the invitation and encouragement of the mayor of the largely Haredi city of Bnei Brak, the Jewish Agency is expanding its Youth Futures program to the city to help disadvantaged Haredi youth in the city realize their true potential, educationally, socially, and personally. Youth Futures currently operates in 32 towns throughout Israel, helping 10,000 disadvantaged children and teens from various backgrounds by pairing them with mentors dedicated to their personal success. A similar Jewish Agency Youth Futures program is currently active in the Haredi community of Safed (Tzfat). About the Jewish Agency for Israel Established in 1929, the Jewish Agency was instrumental in the founding of the State of Israel and now works to ensure the future of a connected, committed, global Jewish People with a strong Israel at its center. The Jewish Agency addresses the most pressing issues in Jewish life by working to Inspire Jews throughout the world to Connect with their people, heritage and land, and Empower them to build a thriving Jewish future and strong Israel. The Jewish Agency pursues this goal by bringing young Jews to Israel for life-changing experiences and involving them in social activism in Israel and abroad. More information can be obtained at www.jewishagency.org.